WACEL makes engineering laboratories, inspection agencies and their staffs better. 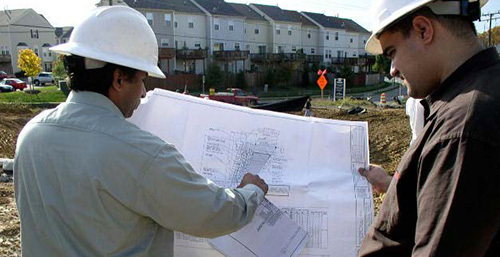 To develop and implement programs to educate, promote and improve firms, organizations and individuals involved in construction observation, testing and special inspections, working collaboratively with building officials and industry partners to help ensure construction quality for the benefit of the public at large. WACEL accomplishes its mission through nationally recognized technician certification, technician training, education, laboratory accreditation and jurisdictional liaison programs. D2216 - Standard Test Methods for Laboratory Determination of Water (Moisture) Content of Soil and Rock by Mass has been revised to D2216-19 developed by Committee D18.03, ASTM BOS Volume 04.08. Testing at the WACEL office is available on Monday through Wednesday and Friday (April 22-24 and 26, 2019). Examinees should arrive between 9:30 am and 2:00 pm. Testing is NOT available on Thursday, April 25, 2019. Please contact Chris Worley at 301-652-7925 or chris@wacel.org to confirm availability. WACEL has been tapped by Prince George’s County to help it revamp it's Third Party Inspection Program. On Friday, December 9, 2018, we were represented at the inaugural meeting of this effort. County officials informed us that the legal department is requiring the Department of Inspections to obtain a signed copy of Attachment 5 of the existing TPIP Program in order to sign off on projects. We realize that almost no one has ever signed Attachment 5 in the past, but moving forward for the time being you will have to submit Attachment 5. Attachment 5 is the final inspections report and Attachment 6 is the Third-Party Inspection Program Certification Form. Both are now required until the update to the TPIP program has been completed. The WACEL Board of Directors voted on during the April meeting to require the Soils I Field Practical to be submitted prior to taking the written exam. This is effective August 1, 2018. WACEL Study Guides and videos demonstrating concrete testing are now available online. Click here to go to the Resources Section. Register for meetings, training classes and practical exams, and keep up-to-date on the latest program updates and changes. Plan now to attend upcoming WACEL Membership Meetings. The April 25th meeting topic is Five Ways to Improve the Cost and Performance of Ground Improvement for Foundation Support Projects. The presenter will be Michael Cowell, P.E. 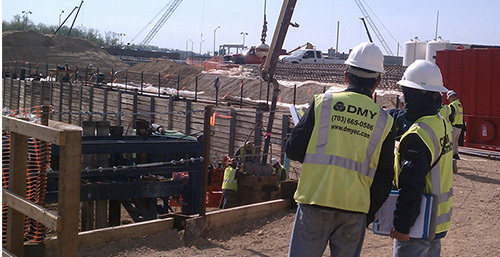 - CEO and President of GeoStructures, Inc.
Specifying an aggregate pier or rigid inclusion ground improvement foundation support system can save a significant amount of money versus an over excavation or deep foundation option for building projects. However, some of this money can be left on the table if the specification is not accompanied by a good baseline geotechnical and structural engineering package, site specific design requirements, specific contractor qualification requirements, a clear scope of work, QC requirements and a measurement and basis of payment requirement. The talk will discuss some of the common practices that need to be changed that can add cost and risk to a project and highlight areas of best practices which can lower costs, risk and provide clarity to a ground improvement design-build project. Attendees will receive one-hour Continued Education Credit (CEU) for attending this presentation. WACEL certification or equivalent certification is required by all metropolitan area jurisdictions. WACEL membership requires that all laboratories in the WACEL service territory be accredited by WACEL or an equivalent accreditation program. WACEL membership requires that all inspection agencies participate in an Inspection Agency Audit Program or an equivalent audit program. WACEL offers membership to Engineering Laboratories and Inspection Agencies that are directed and managed by full-time professional engineers.